The 3M™ 100 series high performance liquid filter bag is constructed of polypropylene melt blown microfibers, allowing for very fine particle capture at high efficiencies. All 3M 100 series liquid filter bags are over 90% efficient at their suggested application rating. The 3M filter offers an excellent balance of high efficiencies with very low initial pressure drops. The bag construction makes this filter an easy to use, convenient, high performance alternative to filter cartridges. 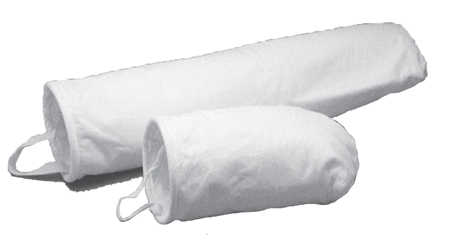 The 3M 100 series liquid filter bag can also adsorb unwanted trace oils that frequently occur in processed fluids. The high amount of surface area due to the polypropylene microfiber construction, results in oil holding capacities from 10-20 times the filter's own weight.